Whiskey has deep roots in American history and culture but bourbon whiskey, in particular, lays claim to being our native spirit. Few whiskies in the world are as well known or as sought after as bourbon. By law, to be called bourbon, the spirit must start with a mash bill of at least 51% corn, age for a minimum of two years in new, charred-oak barrels, and enter the bottle at no less than 80 proof. We tend to think of bourbon as the all-american whiskey — but, in fact, bourbon didn’t earn the moniker “bourbon whiskey” until 1840. Before prohibition, rye was far more popular than bourbon. similar to barley, a grain that scottish and irish immigrants knew well, rye was easily grown and made into whiskey; today, rye is the fastest-growing form of American whiskey. defined as being a minimum of two years old and containing a mashbill of 51% or more rye, this whiskey is the spicy, rich, and occasionally fruity member of the American whiskey family tree. Overseas, the term “single malt” is strictly defined: single malts must be made from 100% malted barley that is, malted, milled, fermented, distilled, aged, and bottled on the same property. here in the U.S., it isn’t quite so. In a market saturated with bourbon—and bourbon legal restrictions—some American spirit makers declared themselves independent of European rules. They rely on whiskey’s oldest recipe: barley, water, and yeast. That’s it. Look for the flavor spectrum of these whiskies to continue to grow. All whiskies listed here have bold, long-lasting flavors; each influenced by the climate and terroir of the various parts of the country from which they originate. Whiskey younger than two years old, with a grain composition of at least 81% corn, is legally “corn whiskey.” Once European settlers learned to grow corn from the Native Americans, they began using it to make whiskey and it became the first American contribution to whiskey production. They soon learned that corn made more whiskey per bushel, the whiskey was sweeter, aged faster, and (if we’re being honest) tasted better than whiskey made with barley or rye. Look for candied sweetness and soft mellow flavors that explode on your palate, then vanish as quickly as they came. Corn dominant whiskies will have a more fleeting flavor presence than those of rye- and barley-dominated whiskies. Baby whiskey. White dog. Moonshine. Young whiskey. White whiskey. Whatever you call it, it’s important to know that all whiskey starts off as a clear distillate. these unaged whiskies - of various grain composition - provide a unique look into the flavors of whiskey many of us forget are hiding deep within the more aged, darker spirits. Pure, crisp, and bright, many of these whiskies boast flavors of tequila, gin, mezcal, and even some rums. The ‘shine’ listed here also appear elsewhere in this menu for technical reasons but we feature them here to highlight the wide variety being produced today. When asked to describe things that are native to the Carolinas, many of us overlook whiskey. We forget that Kentucky and Tennessee were counties of Virginia and North Carolina when they first started producing whiskey. Now a new wave of Carolina distilleries are creating world-class whiskies that draw on our history and apply modern twists to a native spirit. These whiskeys are listed in this menu under their correct whiskey taxon, but we’ve gathered them here to highlight the new flavors of North and South Carolina spirits. Some say immigrant Scots brought whisky to Canada, while others say that Empire loyalists brought their methods after the U.S. revolution. Regardless of how whisky made it to Canada, these whiskies are light and easy to imbibe. Canadian whiskies are often blended rye, but stylistically are much different from the traditional straight rye of the United States. From its multiple appearances atop the world of whiskey revenue, to several moments of near extinction, Irish whiskey has stood the test of time. Early whiskey distillers in Ireland developed many of the innovations and common practices adopted by all modern distilleries, dispite multiple prohibition-like eras enforced by the British empire. Although Ireland’s whiskey is often eclipsed by its more brawling Scotch and American cousins it shares in the claim of inventing whiskey with the Scots and has contributed just as substantially to the perfection of the craft. As expected, Irish whiskey is among the fastest-growing segments of whiskey in the world and is embraced by whiskey-novices and connoisseurs alike. Japan's first commercial whisky distillery, Yamazaki, began production in 1924. Since then, Japan has earned its place among the great whiskey producing cultures of the world. Broadly speaking, Japanese whisky is most similar to Scotch with a focus on single-malt and blended-malt styles but Japanese whiskey sets itself apart with creative and artistic interpretations within these categories, all while maintaining a diligent respect for tradition. Scotland is a very small country, and yet the diversity in Her whiskies is astonishing; there is a Scotch whisky for every possible occasion and palate, with food or without. The hundred -or so- working distilleries in Scotland each produce a distinctive spirit, which, when blended, produce the well-known Scotch blends: Johnnie Walker, Chivas Regal, et al. When the unblended spirit is bottled on its own, it is known as a “single malt"; with flavors that range from the very light, delicate aperitif-style of the Lowland region to the powerful, smokey flavors of the Islay region. Navigate the world of Whiskey! 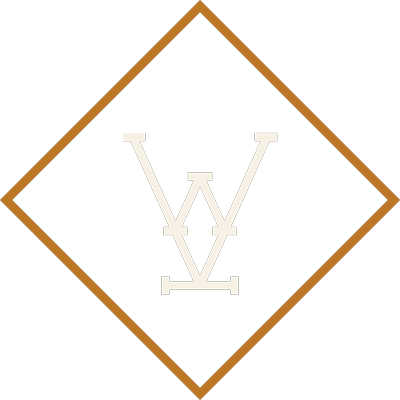 whether you are coordinating a luncheon with associates, hosting a wedding reception or celebrating a birthday with friends, whiskey kitchen will tailor every detail of your event from start to finish. our award-winning culinary squad, along with the rest of our team will work with you to develop a menu that highlights the best of seasonally available ingredients designed to satisfy every guest and compliment your choice of beverage packages that include options from our vast collection of whiskey, wine, beer, and uniquely crafted cocktails. rant or rave, question or comment, do it here. describe your background, work experience and career goals in the cover letter section.